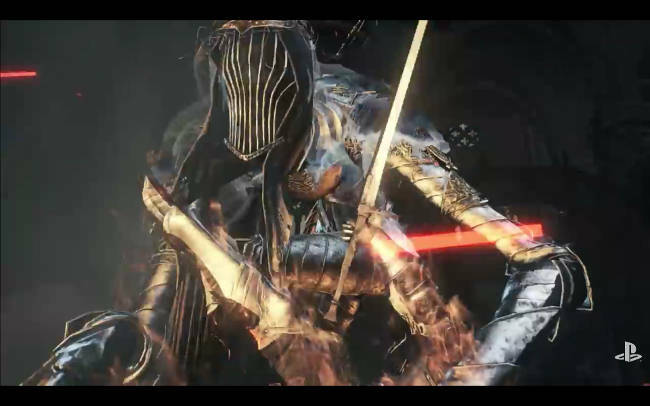 In total there are 35 miracles in Dark Souls 3 and in this post I'll explain exactly where to find each of them. Players should note that Miracles are found in a number of different ways: some coming from vendors, others found in specific locations and some as covenant rewards. So what are Miracles? 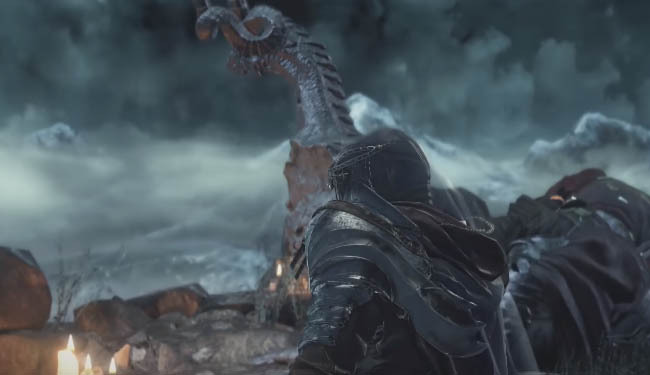 Experienced Dark Souls players will know the answer immediately but for the benefit of newer players, Miracles are like Spells which typically scale off the Faith stat. Miracles can only be used while wielding Talismans or Chimes. There are miracles for defence (i.e. healing) others for attack through lighting bolts, spears and summoning insects. There are also miracles that reduce damage types, attract foes and reveal summoning signs. You might also find the Tome Locations guide useful. Purchasable from the Handmaid in Firelink. Purchasable from Irina of Carim. Purchasable from Irina of Carim. MUST return the Braille Divine Tome of Carim first! Starting from the Hidden Manor bonfire, go back to the watery area and stick to the left side. The miracle is on a dead creature just under the bridge where you entered the area. Trade with Ludleth of Courland for the Soul of the Dancer. Purchasable from Irina of Carim. MUST return the Braille Divine Tome of Lothric first! Trade with Ludleth of Courland for the Soul of Rosaria - this is soul is part of through Leonhard's questline. Found on a corpse in the cathedral of the deep. Locate the ledge where the giant tries to smash you, then go down the hall, take the first left - you should see the Miracle on the corpse on the other side of the room. Be careful here because there is slime above the corpse. A reward fpr reaching Rank 1 with Warriors of Sunlight. Given by Siegward of Catarina - who is in the kitchen area near the Distant Manor bonfire. Starting from the Profane Capital bonfire, go to the toxic swamp area and climb the ladder. Now navigate to the roof area and drop down onto the building below. There is a platform where you will find this miracle on a corpse. Starting from the Old Wolf of Farron bonfire, use the lift to go up to the area where the Stray Demon is. Instead of going to the Demon, turn right and drop to a ledge below that lets you get to the area behind the huge portcullis. The miracle is located on a corpse in this area. Trade with Ludleth of Courland for the Soul of the Lords. Kill the giant worm in the smoldering lake near the Demon Ruins bonfire. Trade with Ludleth of Courland for the Soul of Unnamed King. Starting from the Grand Archives bonfire take the lift tthen go outside and use the steps on the left to circle upwards towards the roof. Keep going until you can drop into the building. Fingers crossed you should land on a sort of "cage" where the miracle is on a corpse. Starting from the Ithiryll Dungeon bonfire, walk to the opposite side of the large area, drop down a level, and take the shortcut door to the lift. Use the lift but jump off halfway down and the miracle is located on a corpse. A reward for reaching Rank 2 with the Blade of the Darkmoon covenant. There is a prerequisite of 30 Darkmoon Ear tokens (not sure of exact English name yet), which are awarded for successful Darkmoon invasion kills and can also be collected through rare drops from the Silver Knights in Anor Londo. Starting from the Great Belfry bonfire in Archdragon Peak, go outside and weave round to the right to find a ladder that leads to the area with a dead dragon and Havek the Rock. Note the break in the railing on the left hand side that you can pass through to drop to a ledge below - this is where the miracle is located on a corpse. Purchasable from Karla. MUST return the Londor Braille Divine Tome first! Note, she will refuse initially so keep trying. Purchasable from Karla. MUST return the Londor Braille Divine Tome first! Note, she refuses initially so keep trying). 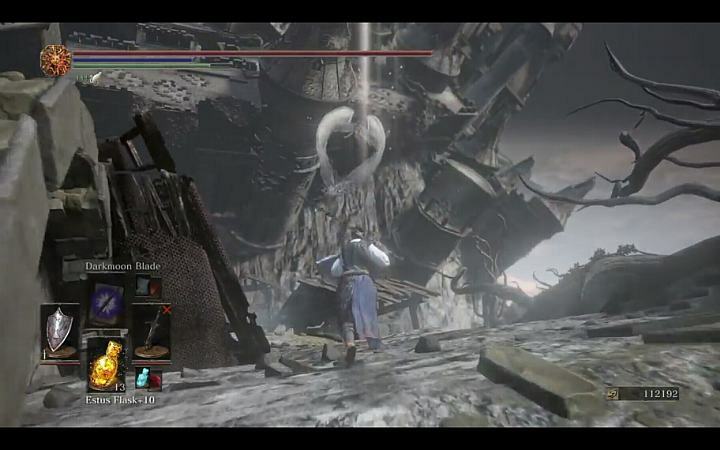 Starting From the Farron Keep Perimeter bonfire, venture away from the Abyss Waychers area and pass through a hole in the wall on the left to a ledge below where the miracle is on a corpse. Purchasable from Karla. MUST return the Deep Braile Divine Tome first! Purchasable from Karla. MUST return the Deep Braile Divine Tome first!. Starting from the Centeal Irithyll bonfire, venture forth until you see a circular platform on your left, there should be a crystal lizard here. Note the illusory boundary (a railing) that you can smash to open a secret path. Eventually you can drop into an area behind a locked door with an enemy that drops the spell when killed. Trade with Ludleth of Courland for the Soul of Aldritch.